The Servo Manifesto | The Gettysburgian. 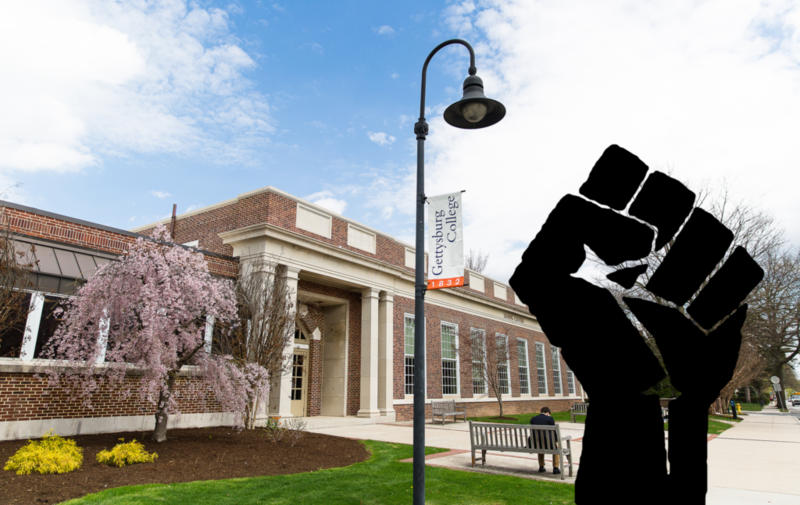 A specter is haunting Gettysburg College, the specter of organized labor. All the old powers of Gettysburg College have joined in an unholy alliance to exorcise this specter. By the collectivization of bargaining, Dining Service staff shall facilitate the amelioration of their position. They shall stand up to the corrupt and decadent administration by joining together in a labor union. I can think of no one better to serve as the President of this organization than Regina. Her forceful hand will guide the righteous cause of justice. The righteousness of their cause shall be laid bare before the feet of the bourgeoisie in their ivory tower. From the halls of Servo through the kitchens of Bullet, a single voice shall ring with the clarity of thousand bells shaking the ivory tower to its very foundation. When the demands of the proletariat are read aloud, the bourgeoisie will quiver in their collective bejeweled boots, made of the finest leather and purchased through the exploitation of the virtuous and noble working men and women. For years the dining staff, called “casual staff” by the administration, have worked tirelessly to ensure the whole of Gettysburg College is fed. How many prospective students have made their decision within the walls of Servo while enjoying the bechocolated pastries concocted by the culinary masters, which they call “casual staff”? How much has the College earned from the Siren call of Servo’s nectar and ambrosia? Like mana from Heaven, the food of the gods is prepared daily by the exquisite hands of these unfortunately ununionized men and women. The revelries of the elite are served by the mighty hands of the proletariat. I have no doubt that Union President Regina shall steer the mighty vessel of collective advancement through the figurative Strait of Messina, where Scylla (the administration), and Charybdis (the bloated bureaucracy) lie on either side, waiting to obstruct their glorious path. Now as in the days of yore, these ennobled working men and women shall throw off their oppression by forming a holy alliance of friendship and labor. Workers of Servo Unite! Seize the means of food production! For you have a world to win! Zachary Sobeck '20 is majoring in political science and minoring in German. He is from Malvern, Pennsylvania and graduated from Great Valley High School in 2016. Sobeck has volunteered with the Donald J. Trump for President campaign during the Pennsylvania primary election. He currently serves as President of the Gettysburg College Republicans and is also a member of Young Americans for Freedom. Sobeck is the legal holder of the noble title: Lord of Hougun Manor, Estate of Cumbria, England of the United Kingdom of Great Britain and Northern Ireland.